The Federal Reserve Board has just published an oral history of the Fed. The Board undertook the project to collect personal recollections of a range of former Governors and staff members; important economic, monetary policy, and regulatory developments during their careers; and impressions of the institution's culture. One of the more interesting recollections comes from Alan Blinder who was vice-chairman of the Fed from June 27, 1994 to January 31, 1996. 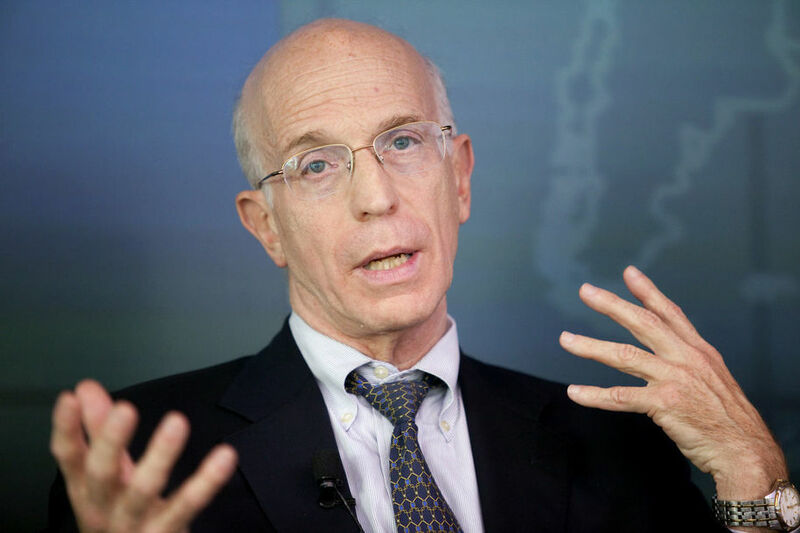 In a controversial 1994 speech at the annual meeting of central bankers in Jackson Hole, Wyoming, Blinder emphasised that the Fed had a dual mandate to fight inflation and also to maintain low unemployment. At the time, most emphasis was in battling price inflation. Thus in an important way, Blinder opened the door to more aggressive money printing by moving the Fed focus away from just being on inflation. It was a terrible idea and still is. The Washington Post columnist Robert J. Samuelson justifiably blasted him at the time. MR. LEBOW. Let’s move on to the Jackson Hole events in 1994. MR. BLINDER. That was fun. You were working for me then, I remember that! MR. HAMBLEY. What you were doing at Jackson Hole? You gave a paper. What was the reaction to it, and were you surprised? MR. BLINDER. I was surprised by the reactions, so let me tell you about the lead-up. First of all, the subject of the symposium was reducing unemployment, not raising unemployment, so when I was asked to speak, I thought I should speak about reducing unemployment, which I did. I thought unemployment was then above the natural rate. And I strongly hinted as such. Second, I was cognizant—I’ll admit this now— of the fact that this was essentially my first public speech since going over to the Fed as the putative dove and then doing nothing but voting to raise rates—happily going along with a Committee that was raising interest rates. Since unemployment was the subject, it gave me the opportunity to make the point that I wasn’t just going to favor raising rates forever without worrying about unemployment. I reminded people in that speech that the Fed had a dual mandate, and that I took the dual mandate seriously. I thought I made it very clear in the speech that this is what the Federal Reserve Act called for, and that the Vice Chairman of the Federal Reserve swearing obeisance to the Federal Reserve Act should not be considered a newsworthy event. [Laughter] I made that last point after Jackson Hole, but it was on my mind then. I was cloaking myself in the Federal Reserve Act. I was on very strong legal grounds. That’s what the law says the Fed is supposed to do. MR. HAMBLEY. Nowadays, people who are coming to the Fed say in advance, “We know what the legal mandate is, and it has the two parts, and they have to be balanced,” but I don’t think that was the case in those days. MR. BLINDER. No, it wasn’t. MR. HAMBLEY. People didn’t talk about the dual mandate all the time. MR. BLINDER. You were always supposed to say how much you hated inflation. MR. HAMBLEY. So maybe that was why what you said was controversial. Even though you were legally impeccable, that was what the law said, maybe some people didn’t want others to be reminded? MR. BLINDER. Bob Samuelson subsequently wrote a horrible piece. here was a view in the minds of a lot of people, contrary to what the Federal Reserve Act says, that if you’re serving on the Fed, what you’re supposed to do all [of] your time is just show your teeth against inflation, period. I think that’s wrong. It’s both economically wrong and legally wrong. But that was a view that a lot of people held. By doing what I did, I opened myself up to criticismfrom the folks that wanted to pretend that the Fed had a monogoal, not a dual mandate. And part of the background was, I had a reputation as an inflation dove when I joined the Board. So I realized I was sticking my chin out, in a sense. But I thought I was covered, so to speak, by theFederal Reserve Act. MR. HAMBLEY. So you learned a hard lesson: that being legal doesn’t always shield you from criticism. MR. BLINDER. Yes. By the way, being legal and being correct. MR. HAMBLEY. Right [laughter], that’s not good enough, either! MR. BLINDER. You were doing congressional relations then? MR. HAMBLEY. I was, but I was low on the totem pole. Why do you think the Jackson Hole controversy happened? MR. BLINDER. I think the answer was two things. First, it was August and a slow news day. So if you want to ask what lessons I learned, one is, watch out what you say on slow news days in August. If I said the same thing in September when everyone was busy, I don’t think many people would have taken note. That’s point one. Point two, which I didn’t appreciate at the time, is that in the audience there were maybe 10 to 15 members of the press, one of whom was an extremely aggressive reporter from the New York Times named Keith Bradsher. He was a young man at the time, trying to make a mark, and he saw that he could play this story up to get on page one—page one!—which he did. Now, that comes back to my remark about August. On September 15, there’s no way he gets this on page one. Impossible! Ridiculous! But on August 25, or whatever day it was, he got it on page one. Bradsher was the only reporter who saw a “story” in what I said. I talked to many other reporters after that; the only one who wrote an initial story based on my speech was Keith Bradsher. Everyone else listened to this: “Oh, wow, the Federal Reserve Vice Chairman believes in the Federal Reserve Act. Now, that’s news.” Nothing. I talked to several of the press people who were there while we were still at Jackson Hole, and they were scratching their heads about Bradsher, like, “What is this guy writing about?” It was only after Bradsher’s pageone story that everyone else got forced to write about it. MR. BLINDER. On a slow news day by creating a story when there wasn’t a story. MR. HAMBLEY. Did you also think that somebody who really didn’t want you to be in line to be Fed Chairman might have also been involved? MR. BLINDER. Oh, I did. There were some people—I’m not going to say who, but I have strong hunches who they were. In fact, I was told by one person who was at Jackson Hole who one of them was—but I’m not repeating names; this is hearsay. There were apparently at least two people inside the Fed System that fed Bradsher this. One of them called me “an outlier.” I’m pretty sure I know who it was. So, yes, a couple [of] people inside the Fed System were trying to damage me. MR. BLINDER. Not always! Did I answer the question you asked? MR. HAMBLEY. I think you did. But you also don’t think there was really any substance to this at all? MR. BLINDER. Definitely not! Alan Greenspan presided over a Fed that—and, by the way, it was mostly the same people who were in Jackson Hole—let the unemployment rate drift all the way down to 4 percent. I certainly was not suggesting 4! MR. HAMBLEY. Well, he hadn’t done that yet. MR. BLINDER. He hadn’t done it yet. But Bob Samuelson said I didn’t have the moral or intellectual fiber to lead the Fed, because I suggested unemployment could go below 6. MR. HAMBLEY. What do you think Samuelson was doing? Was it really what he thought, morally? MR. BLINDER. I just could presume that’s what he thought. What I know is that prior to that piece, there was no grudge between him and me! [Laughter] It wasn’t like he was getting even with me for something. That I know. After that, I wouldn’t talk to him. I thought he was insulting in the extreme. Blinder emphasised that the Fed had a dual mandate to fight inflation and also to maintain low unemployment. Since we know that fiat funny money creation is what causes inflation AND unemployment, the Fed is by law mandated to cease all fiat funny money creation. This isn't brain surgery.